And when I say "best" I mean best for my needs: your mileage may vary and past performance is no guarantee of future results. 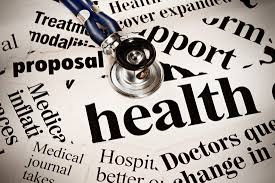 Here are some of my primary sources for keeping up to date with all the healthcare and healthcare information technology-related topics and new I find of particular value to me. I’ve listed individuals and companies in no particular order and included their Twitter handle where available. Here are the primary media outlets/companies I review for healthcare and healthcare information technology-related topics and information. Most or all of the following have newsletters to which you can subscribe. If I had to choose one outlet over all the others, I’d say it would have to be MedCityNews. The "SmartBrief" outlet has several industry related "sub-sites" and I find the AHIP Solutions SmartBrief site particularly useful. So I'm sure I missed a few and will loop back to add those later on. If anyone has any others I should be considering, please forward them to me. Excellent list. Thanks for compiling it! @Brian..thanks. And this list I made was of those dedicated to "healthcare journalism." There are good people on your list and others like it but this list is the list of those I consistently get the kind of things I'm looking for from.